Chrissy Will Get You Fit At Home! Hello, my name is Chrissy. 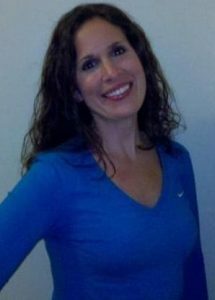 I am excited to offer personal training services in Perkasie, Pa., and the surrounding local areas. With 21 years of combined personal training, group fitness experience, and continued fitness education, I bring a unique blend of skills to help you achieve your goals. I decided to make fitness a career because I am very passionate about helping people reach their fitness goals. Due to my own life experiences and battle with my weight, I can relate to the struggle my clients endure with getting fit. Although I was an athlete growing up, I was very overweight. I decided to take a dance fitness class and realized that exercise can be fun, as well as, improve the quality of life. This revelation changed my life. I lost 60lbs and made exercise and healthy eating my lifestyle. I knew that my true calling was to help others achieve the success that I had with my own fitness goals. I obtained Personal Training and Lifestyle & Weight Management certifications. This allows me to educate and work with people who need a healthy lifestyle change. I work closely with my clients on nutritional counseling as well as exercise. My specialties are body fat loss, functional training, and senior health & wellness . Through effective, well balanced workouts, my clients have achieved great results. I keep our workouts fun, creative, and safe. Through learning your fitness goals, I will create a personalized fitness plan to help you achieve your goals. I’m eager for the opportunity to help you reach your fitness goals and a healthier, happier, lifestyle. Senior Fitness Certificate by Exercise Etc.